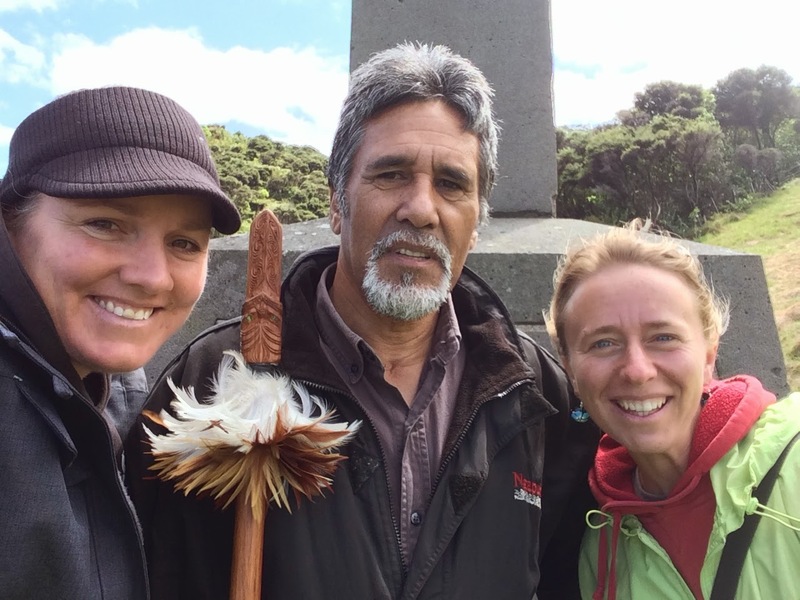 Alison in Aotearoa/ New Zealand: 200 Years of Hope! Ever had an experience that stopped you dead in your tracks, leaving you speechless? 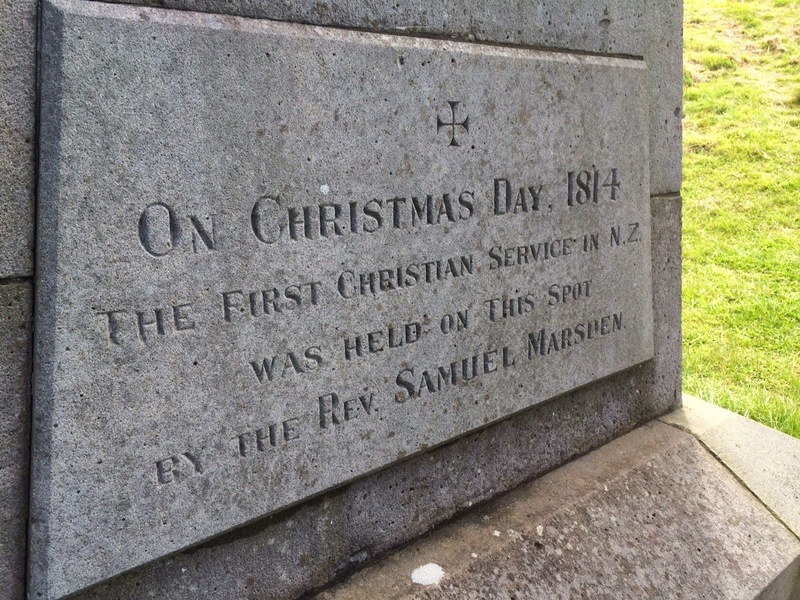 This weekend a friend and I decided to make the trek to Marsden Cross, the site where the first Christian message was preached on New Zealand shores 200 years ago, Christmas Day. Marsden Cross is located at Oihi Bay (pronounced "Oh- ee- hee") in the Bay of Islands. It's about 2 hour drive from Whangarei and then a short 20 minute hike down through a secluded little valley that suddenly leads you to the sea. 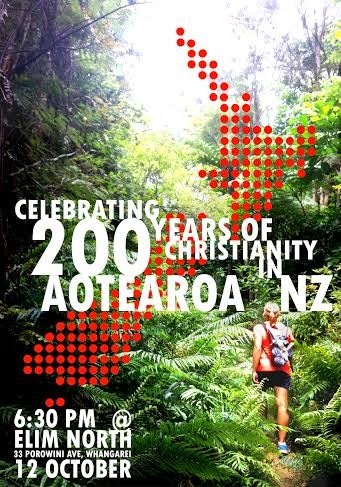 We had no expectations for the journey and only thought it was an appropriate time to visit because of the upcoming bicentennial celebration of Christianity in NZ. Upon arrival, we happened upon a group of people gathering around the monument. Selfishly thinking they were tourists and would only spoil our photo ops, we avoided them for a while and took an extra hike. When it became clear to us that cluster of alleged "tourists" weren't leaving anytime soon, we approached them only to find that we had struck gold! What was taking place before our very eyes was the signing of a new reconciliation agreement between Christian Maori and Pakeha (non-Maori, European decent). The document was an official recognition of repentance for past grievances between the British and Maori, the breaking of strongholds that have been present for far too long, and a spiritual proclamation for the future of New Zealand, acknowledging Christ as the true King of this land. 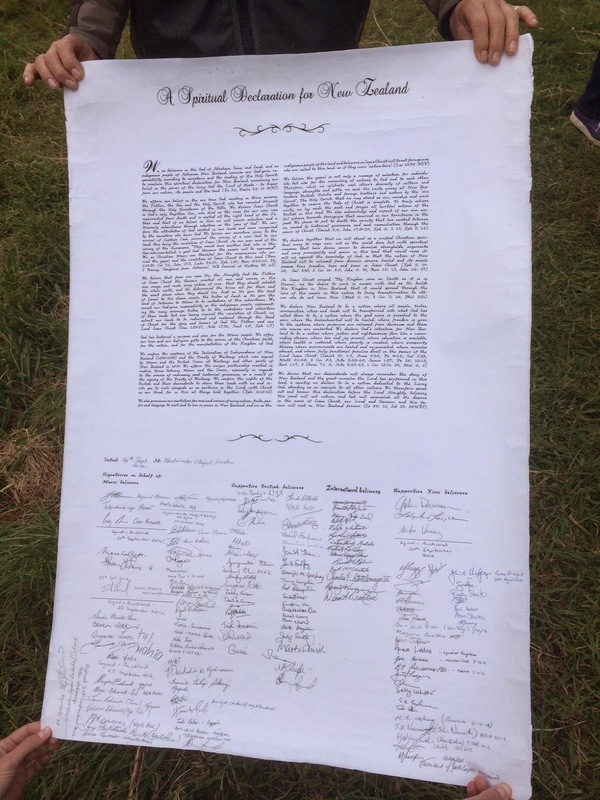 The document has traveled from London to NZ and will continue to make its way all across our great nation gaining signatures and supporters, before it makes it way back to the British Crown in London. After identifying ourselves as fellow Christians, getting the full story on what was going on and committing to personally sharing the gospel ourselves, they invited us to sign. This is no small thing. What an honour! My friend and I both stood in awe at what we had just encountered, and as we looked out over the sea, with grateful hearts we spoke out our praise to God for all he had already accomplished in the spiritual realm on behalf of our nation, and prayed with expectancy about what amazing things he had in store for the future of Aotearoa. You can read the back-story and the words of the proclamation at the link below. Watch this blog for more updates on how God is transforming the lives of Kiwis in this bicentennial year of celebration. God's not dead in New Zealand. He is surely alive and we are only beginning to see the tip of the iceberg of his love and power at work in our midst! Could we (a group of Christians in NZ) please have permission to use your photo for our brochure?